Jeff Schapiro from the Richmond Times-Dispatch joins Dan Rosenthal for this week's political analysis. Topics include the state legislature finalizing this year's bills, more developments in the allegations against Lt. Governor Justin Fairfax, and Joe Morrissey's announcement that he is running for Virginia Senate. 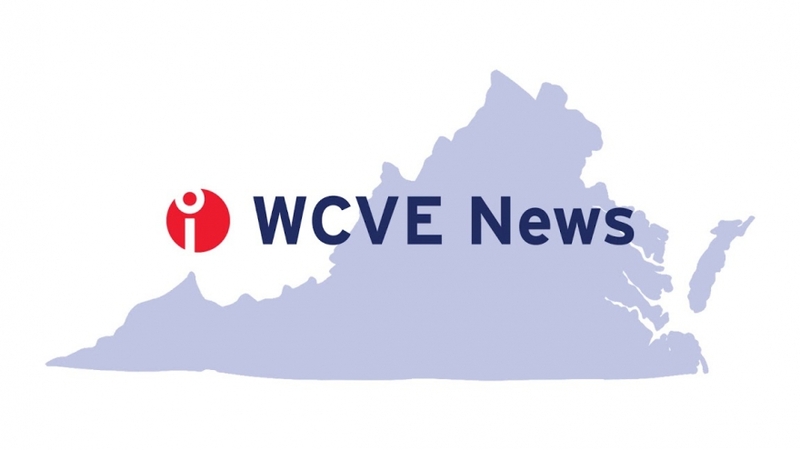 PL: Now here's WCVE’s Dan Rosenthal and Richmond Times- Dispatch columnist Jeff Shapiro for a look back at the week in Virginia politics. Good morning. DR: Good morning, Phil. Thanks, Jeff. Good to see you. JS: Good to see you, Dan. DR: Jeff, the state legislature was back in Richmond this week and put the finishing touches on some of the bills that had passed over the winter break. JS: And that includes surprise, surprise, new fuel taxes. The dollars from these, these new taxes will go to improvements along Interstate 81, that perilous stretch in mountainous western Virginia, other high traffic roads including I-64 through central Virginia and down into the Peninsula. And then in a rare feat of small-D democracy the House and Senate decided to do away with this very controversial practice of stripping driver's licenses from people who haven't paid their fines and fees. Now, the state had increasingly been under legal pressure to do something about this. A federal judge up in Charlottesville said this practice was constitutionally dubious. And there is a racial component to all of this that plugs into Governor Northam’s difficulties, and we can talk about that a bit as well. But to this question of administrative revocation, as it's called, it's arguably nonsensical. Democrats and Republicans argue it only makes it harder for people to get to their jobs. And of course that makes it harder for them to earn money, and that makes it harder for them to pay their fines. And of course that makes it harder for them to get their licenses back. These, these were both big priorities of, of the governor and now they are big wins for him and perhaps evidence that the blackface scandal, not withstanding, that the governor has some stature, some juice, some influence. And that should be a source of some comfort, some assurance to Democrats looking ahead to the legislative elections in November. Now, the point being that if there's something to talk about other than Ralph Northam’s headaches, that might make for a more productive outcome in November. Of course the governor is refusing these demands that he resign. And now that he's notched up a couple of wins, Northam would tell you that there's work to be done, and there is work that has been accomplished. DR: Well, speaking of the controversies in government, Lieutenant Governor Justin Fairfax, his accusers took to the airwaves on CBS this week, and Fairfax revealed that he had taken a polygraph examination, and also Republicans were critical of Governor Ralph Northam and the lieutenant governor for their respective racial and sexual scandals. JS: And I would think that that tells us something about the, the themes going forward. That perhaps the Republicans who would be content to kind of let this speak for itself are anxious to kind of keep that, that fire burning. Todd Gilbert who is the Republican majority leader in the House went after the governor over that disputed yearbook photo and wanted to know what the status is of the governor's promised investigation into the origin of that picture, and who's in it, where, where that was going. And then there was this dust up on the floor between the House Democratic Leader, Eileen Filler-Corn and Rob Bell, the Republican Chairman of the Courts Committee, over the Republican efforts to organize, stage, if you will, a public hearing at which Justin Fairfax’s two accusers would say their piece. Democrats say it's nothing more than a social media circus. The Republicans say it's an opportunity to, you know, more fully frame a serious issue. And in a setting that would not have any credibility were it not a bipartisan exercise, and Fairfax, his accusers have said this should be a two-party effort. DR: And that perennial politician /rock-on tour / boxer, Joe Morrissey wants to get back into politics and announced his nomination for the Democratic position in the State Senate. JS: Yeah, I think that what was once said of Doug Wilder perhaps could also be said of Joe Morrissey - that he is chemically dependent on, on printer’s ink, (laughing) a rogue politician for sure. He has announced for the Democratic State Senate nomination in a district represented by Rosalyn Dance. This district reaches from Petersburg north toward Richmond, scooping up the southern and eastern part of the city. Joe Morrissey's personal life and its tawdry details have largely shaped his professional life. In, in recent years he lost his law license in part because of questionable conduct with a woman who is now his wife when she was a minor. Joe Morrissey has been pumping up this Fightin’ Joe persona. It makes him popular with the, it's made him popular with the underclass, but he's going to need more than their votes to win. Remember, this is a guy who's seen by some as an advocate, but by others as a vulgarian. DR: Okay, we'll leave it there. Thanks to Jeff Shapiro, political columnist at the Richmond Times- Dispatch. Craig Carper, our news director, returns next week. He's on vacation for some well-deserved time off. I'm Dan Rosenthal, WCVE news. Thanks a lot, Jeff. JS: Good to see you.